After a quick penultimate day of play here at the Playground Poker Club in Kahnawake, QC, the Season XVII WPT Montreal C$5,300 Main Event is down to the final table of six players with Patrick Serda (pictured above) carrying his overnight chip lead through the day to lead the final table with 8,260,000 in chips. Day 4 of WPT Montreal begin with Serda taking a steps down the leaderboard before Simon Deadman exited in 13th place. Following Deadman out the door in 12th place was WPT Champions Club member Amir Babakhani who ran his ace-king to Sorel Mizzi’s kings. 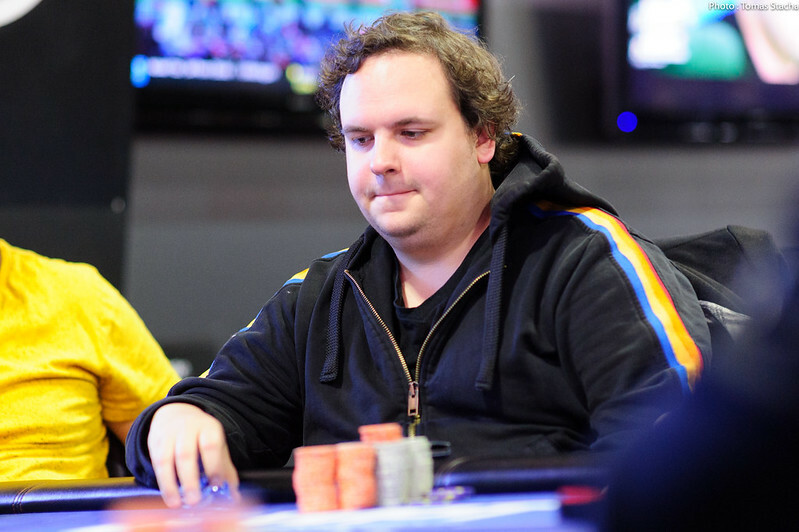 Day 2 chip leader David Guay doubled Michael O’Sullivan up with his jacks versus kings, and although Guay managed to double the next hand, he would fall in 11th place bluffing with a missed flush draw on the river. On the eve of the first break, O’Sullivan would four-bet shove all in with and be called by Serda and his . The dealer spread a board and Serda’s four-flush eliminated O’Sullivan in 10th place to leave the final nine players re-drawing to the unofficial WPT Montreal final table. As the final nine players were about to head on their first official break of the day, WPTDeepStacks San Diego Champion Upeshka De Silva put a huge dent in Jonathan Little’s stack with bottom set. Once play resumed, Little found a lucky double through Santiago Plante. Then on the next hand, Plante’s tournament would end in ninth-place running his into De Silva’s . Little managed to find one more double with an ace on the river against Serda’s pocket eights before the two-time WPT Champions Club member exited in eighth-place when his was outdrawn by Zajmovic’s to leave the remaining players on the bubble of the official final table. Serda then began his run back up the chip counts flopping two pair against De Silva, and then top pair that held on against De Silva’s straight and flush draw to claim back the chip lead. Zajmovic had other ideas, and wrestled it back in a multiway pot to become the first player over seven-million in chips. With just a few minutes remaining in the level, Sorel Mizzi opened the cutoff and Serda three-bet the button before Pierre-Paul Paulin four-bet shoved the big blind all in for 24 big blinds. Mizzi folded, and Serda called with to be slightly ahead of Paulin’s . 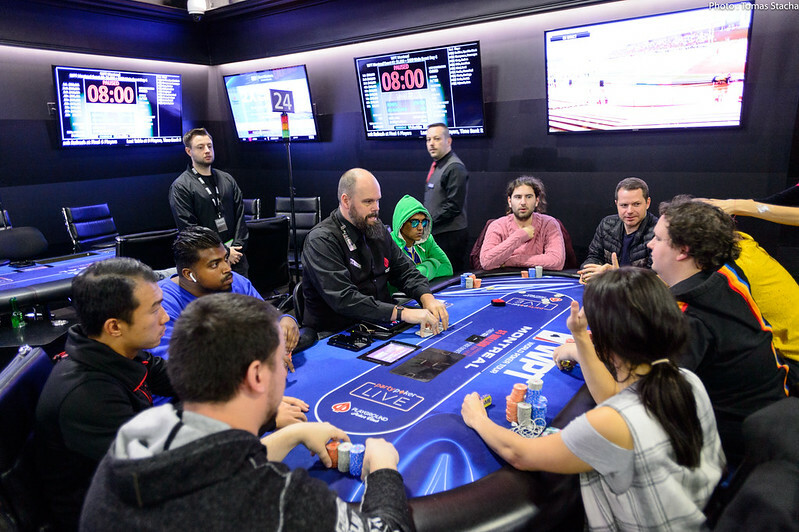 A six fell on the flop, but running diamonds saw Serda complete the nut flush and send Paulin out in seventh-place to leave the final six players at the WPT Montreal final table. Although experiencing an up-and-down day, Serda rode his Day 3 chip lead into the chip lead at the final table with 8,260,000; approximately 138 big blinds. Regardless of where Serda finishes, this will be his biggest result in his home country and second biggest overall. With a win at WPT Montreal, Serda will climb into 57th place on the Canada All-Time Money List. Sitting second overall is Zajmovic (pictured above) who ended the day with 7,450,000 in chips. 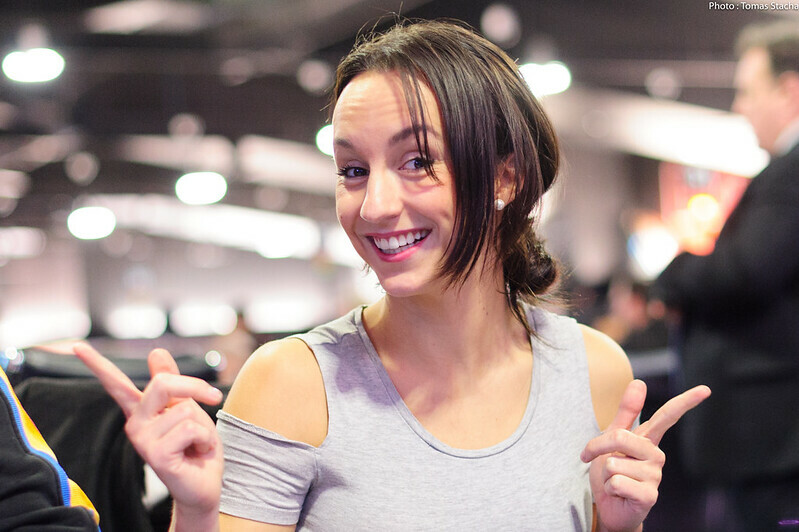 Zajmovic won the Season XV partypoker.net WPT Playground event for C$261,000, and if she is able to be victorious here, she will join a list that includes Carlos Mortensen, Gus Hansen, and Chino Rheem, as the only players to have won two titles in the same location. Third in chips is Upeshka De Silva who ended the day with 6,800,000 in chips. De Silva can make history at WPT Montreal if he can claim victory as he will be the only player in WPT history to have won both a WPTDeepStacks and WPT Main Tour title. Sorel Mizzi has collected over $1 million in lifetime earnings on the WPT and is now sitting at his fourth WPT final table. Mizzi has collected a fourth and two runner-up finishers and will be hoping he can get the monkey off his back in his home country. Jiachen Gong has two previous WPT cashes to his name – both at WPT Fallsview – and if he can claim victory here, he will double his lifetime tournament earnings that sit at just over $500,0000. Kauvsegan Ehamparam rounds out the final table as the short stack with 2,350,000 in chips, and his entire poker resume is based on results here at the Playground Poker Club. Ehamparam has collected five cashes for lifetime tournament earnings of over $110,000, and with his appearance at the final table, he has already eclipsed that mark. The final six players are all currently guaranteed a C$175,500 payday, but their sights will be set on the C$855,000 first-place prize and seat into the season-ending $15,000 buy-in WPT Tournament of Champions. Along with the coveted first-place prize money, the WPT Montreal Champion will have their name engraved on the WPT Champions Cup and will take home the Playground Poker Club Championship Belt. The WPT Montreal final table is set to kickoff on Sunday, November 4, at 12 p.m (EDT) and play will continue until the WPT Montreal Champion is crowned. Stay tuned right here to WPT.com for the exclusive live coverage of WPT Montreal, along with the other events of the WPT Montreal festival.